Ninja Theory crafts a highly competent action game and a nuanced, powerful exploration of mental health. Hellblade: Senua's Sacrifice is a masterclass of atmosphere, storytelling, and the marriage of mechanical and conceptual design. While there are moments that feel shoehorned in to remind us we're playing a videogame, the care and attention Ninja Theory has clearly poured into Senua and her story has created something amazing. This is a game everyone should play, and I'm thankful for the opportunity to have lived inside the mind of Senua, however briefly. A technical masterpiece with some of the best swordfighting combat in years, but the storytelling and puzzle elements come across as muddled and awkwardly mismatched. Hellblade is not an Orphean quest to retrieve a dead lover from the underworld. It's not some epic tale of revenge. It's an education and contextualization of being psychologically different in the time of Vikings and Celts. Nearly every facet of the game — whether it's combat, puzzles or exploration — is deliberate, pointing back to the overarching theme of what people called “cursed” during that time. Hellblade successfully weaves metaphors of grief and loss into fundamental game mechanics and rich folklore, and through these I felt like I truly was able to understand how someone else sees the world. This intense exploration of a young woman's personal anguish is a triumph of interactive storytelling. Slowly but surely Ninja Theory has moved into film territory, but they can't let go of their need to shove action mechanics into everything they do. With the increased focus and acceptance of so-called "walking simulators" there's a huge market they can tap into, and I hope they end up doing that in the future. I enjoyed pretty much every facet of Hellblade that didn't involve combat, which unfortunately pops up a little too often on top of the aforementioned technical problems -- just enough to grate. A new example on how Switch is capable of succeding in any challenge, with no sacrifices in the process. It's not as graphically astonishing as the other versions but it feels really, really close. A gaming experience everyone should try. Hellblade: Senua's Sacrifice is a profound sensual experience that's unmissable. The way it highlights psychosis and incorporates it isn't just a part of the aesthetic, but it also makes for fascinating gameplay. This is a phenomenal achievement for the discussion of mental health that we'll be talking about for years to come. Hellblade approaches psychosis in a videogame in a mature and original way. The game has a perfect balance of combat, puzzles and exploration, with great sound and graphics, but it fells too short, about 8 hours length. Ninja Theory, you moved me. Hellblade's gameplay is polished, the writing is fantastic, the acting is superb, and the ending managed to make me cry. But even then, all of this pales in comparison to everything this art piece truly represents. Ninja Theory has tried to provide a game with a distinctive fighting style with a strong story for the main character, a unique environment, and a promise of an experience that matches the games with huge budgets and at a lower price. 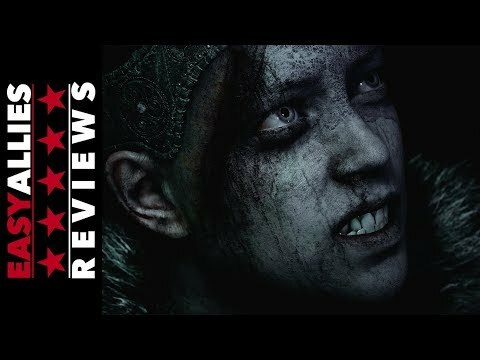 I can say that the studio succeeded in its quest with Hellblade: Senua's Sacrifice With 10 hours of gameplay fighting to save her beloved from the dark, in a dreary, bleak environment full of exciting and mysterious details, we are facing one of the most powerful games of the year, at a price of up to half of what other AAA games will cost you. Hellblade: Senua's Sacrifice is an excellent demonstration of quality with an absorbing history and an outstanding artistic direction. Joining concepts such as Norse mythology and psychosis was not easy, but the mixture has been respectful and interesting.